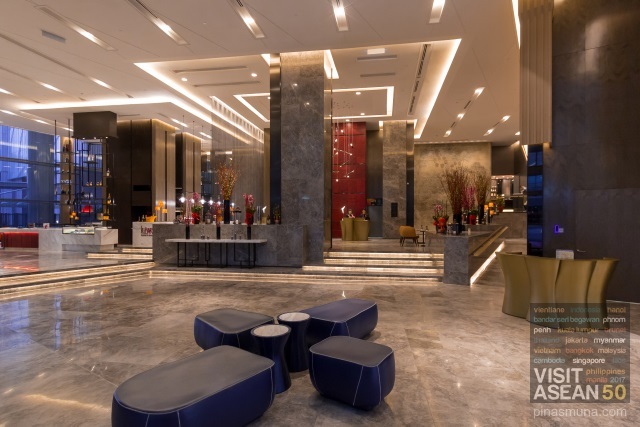 Sofitel Kuala Lumpur Damansara (索菲特吉隆坡白沙罗) is a luxury hotel located in Damansara Heights, a high-end residential and commercial district in western Kuala Lumpur. 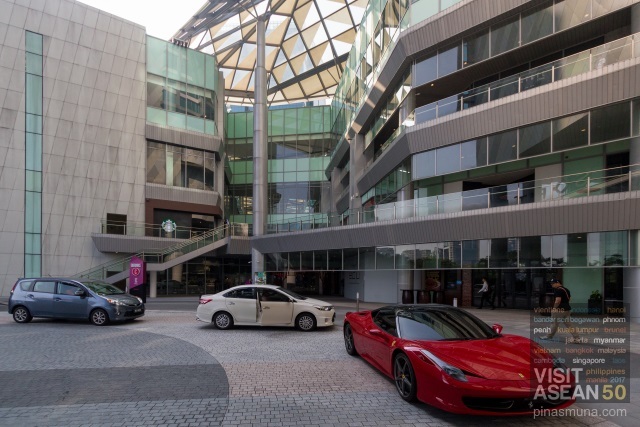 The property is part of the Damansara City integrated urban development consisting of a mall, a hotel, two residential towers and two office towers. 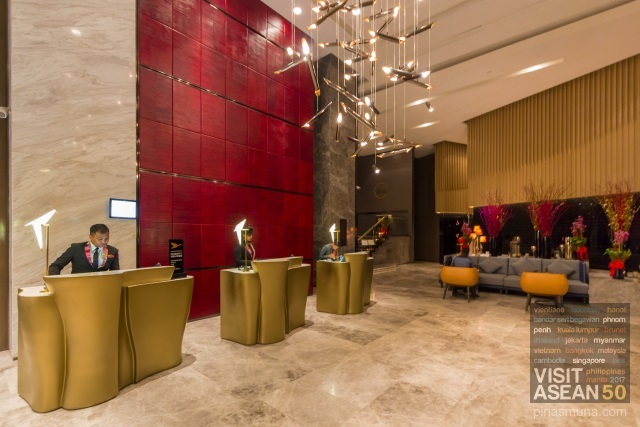 Sofitel Kuala Lumpur Damansara is part of the Sofitel Hotels & Resorts group and is managed by AccorHotels. 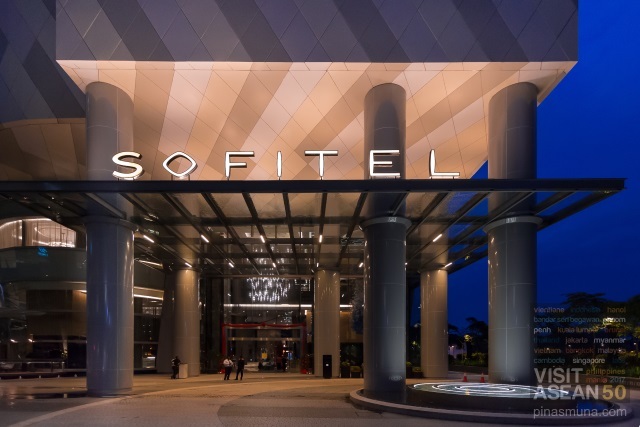 Sofitel Kuala Lumpur Damansara opened in August 2017 and is the first Sofitel branded property to open in Malaysia. 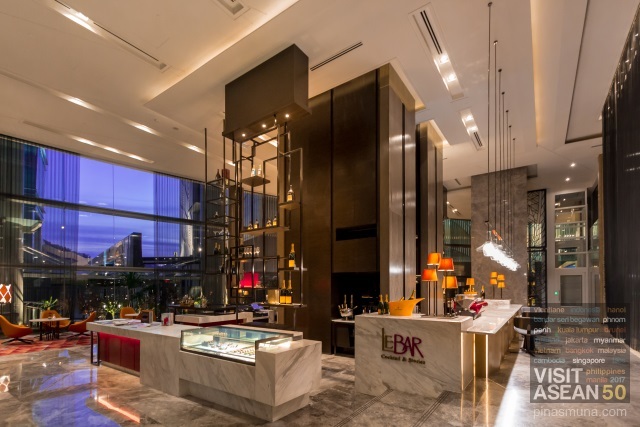 It is also one of the youngest Sofitel properties in South East Asia and the entire Asia Pacific region. 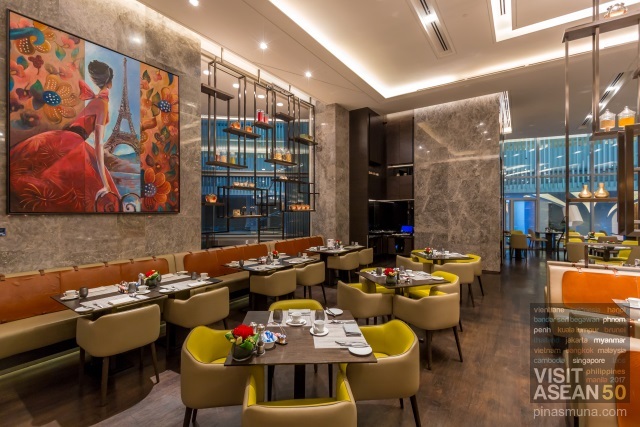 Sofitel Kuala Lumpur Damansara brings with it the magnifique brand of service which combines French elegance with local hospitality. Sofitel Kuala Lumpur Damansara has a total of 312 luxurious guestrooms and suites. With floor areas ranging from 43 to 105 square meters, the property boasts some of the most spacious hotel accommodation in Kuala Lumpur. All rooms and suites at Sofitel Kuala Lumpur Damansara are equipped with a Nespresso machine while all bathrooms are fitted with a bathtub. 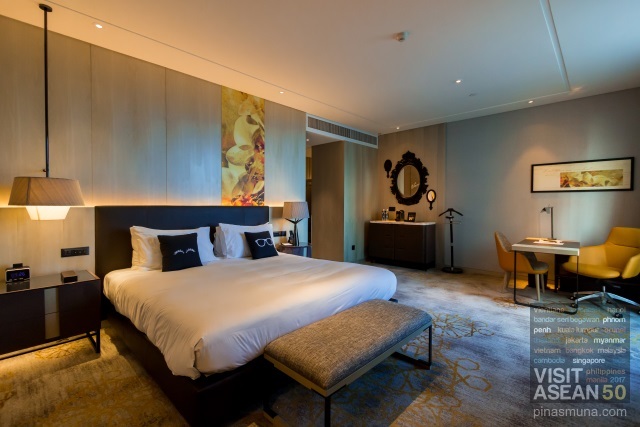 The Junior Suite is the lead-in suite category of Sofitel Kuala Lumpur Damansara. The suite measures 55 square meters and was designed to combine French sophistication, with the modern vibe of Kuala Lumpur, elements of Malaysian culture and Islamic design. 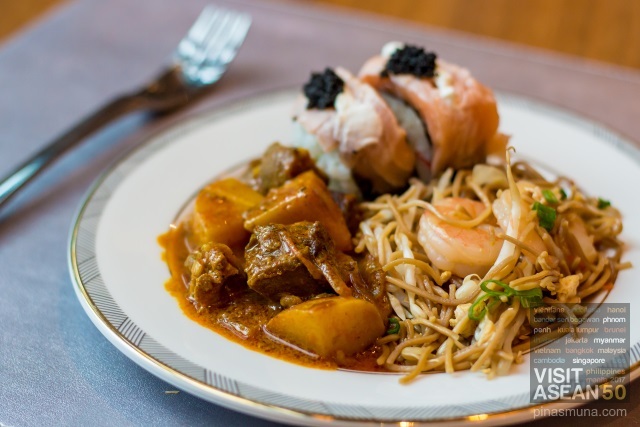 Kwee Zeen is the all-day dining restaurant of Sofitel Kuala Lumpur Damansara serving Pan-Asian cuisine prepared fresh at its live-cooking stations using premium and locally sourced ingredients. 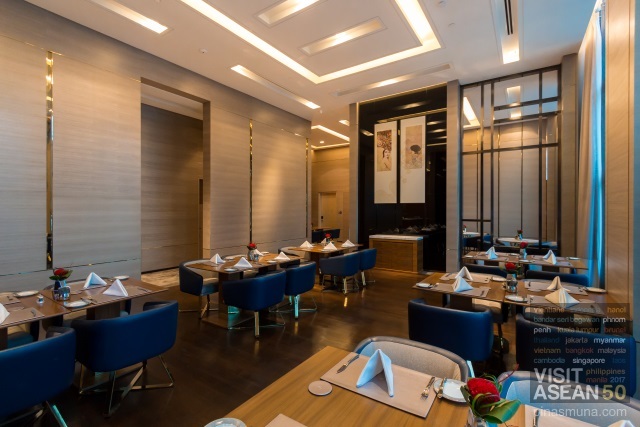 The interior combines French elegance with Malaysian heritage. 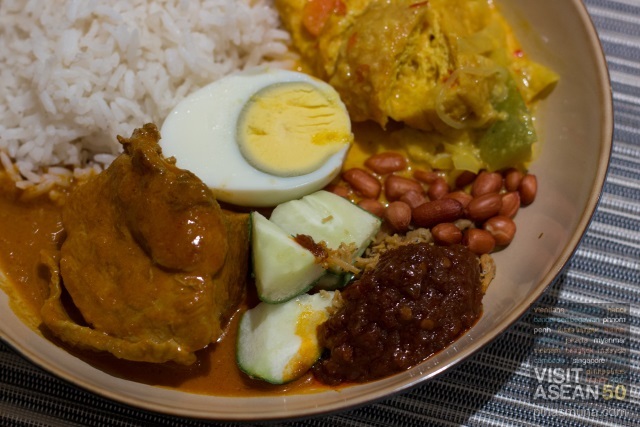 Whether your are a business traveler, a leisure traveler or a weekend staycationista, waking up in the morning for breakfast will definitely be one things that will keep you excited during your stay at Sofitel Kuala Lumpur Damansara. 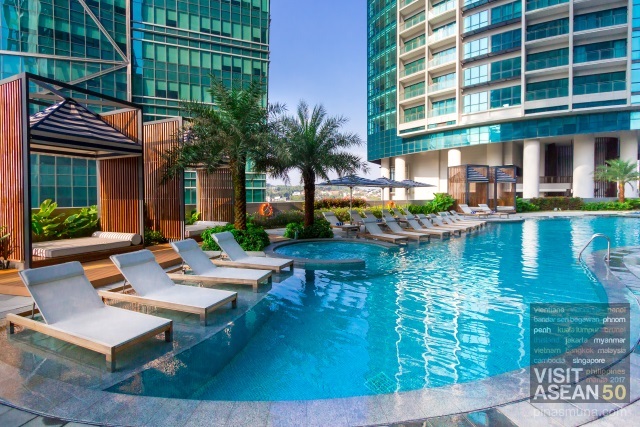 One of the best ways to escape the humid weather in KL is to cool down at the outdoor swimming pool. Ideal time for swimming is in the early hours of morning or a few hours before sunset. The swimming pool has an attached jacuzzi while drink and snack are available at the poolbar and the nearby Nizza restaurant. Other facilities near the pool are the shower rooms, sauna and steam room. Here at Sofitel Kuala Lumpur Damansara, there's no excuse not to keep fit while on holiday or a business trip. 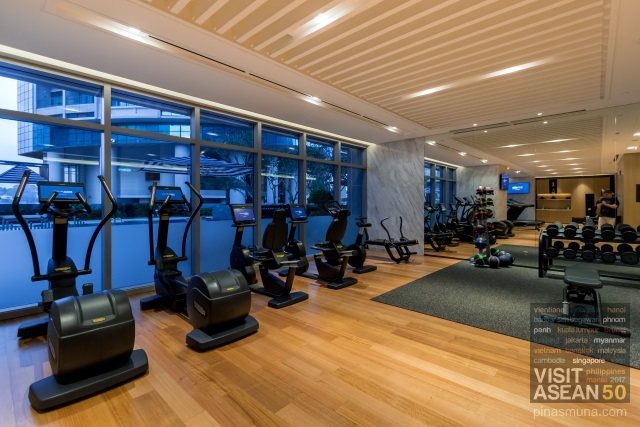 SoFIT, the in-house fitness center, is open 24-hours and is equipped with state of the art Technogym cardio workout machines. A physical trainer is on duty to assist you should you wish to use free weights. There is no better way to end your holiday or business trip in Kuala Lumpur that by having a rejuvenating spa treatment at SoSPA. For the ultimate pampering, you should try the hammam. Sofitel Kuala Lumpur Damansara is located in the Damansara Heights, a high-end residential and commercial district in Kuala Lumpur. The property is roughly 65 kilometers away from Kuala Lumpur International Airport and about 6 kilometers from Kuala Lumpur Sentral Railway Station. Airport Transfer - the easiest way to get to the hotel from the airport is by booking the hotel's airport limousine service (from MYR169.60 per way). The fastest way would be to take the KLIA Ekspres train from the airport to KL Sentral Railway Station (MYR55.00) and then take a taxi or Grab to the hotel (~MYR10.00). Moving Around - the most convenient and my most preferred way to get around Kuala Lumpur is by taking Grab. It is most of the time cheaper than taking a taxi. Just make sure you download the Grab mobile application. In Kuala Lumpur, you can choose to pay in cash directly to the Grab driver or with a credit card using the Grab app. This includes other hotel expenses (in-room dining, minibar, restaurant, spa, etc) charged to your room account during your stay. Expenses paid separately do not earn points. Earned points will be credited to your membership account within seven days after your checkout. Le Club AccorHotels regularly offer online promos wherein members earn double points for every booking made during the promo period. Make sure you subscribe to the Le Club AccorHotels newsletter to receive updated on the latest promos. If you are not yet a member of Le Club AccorHotels program, sign-up now and unlock member benefits and other exclusive offers.